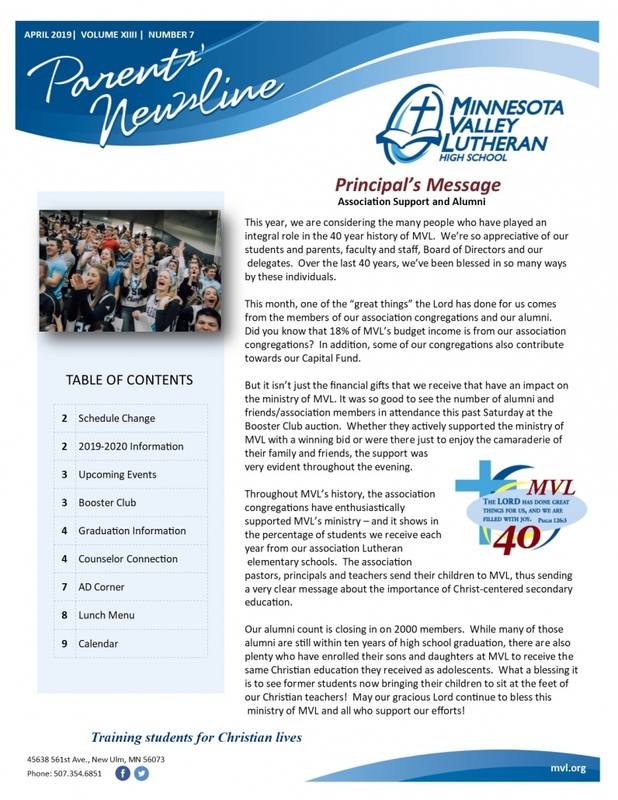 The Parents’ Newsline is a monthly communication from MVL to the parents of current students. It contains all the information that parents need to know about upcoming activities and events at MVL. Click on the link below for the PDF version of the most recent edition of the Parent’s Newsline. Download the latest version of Parents’ Newsline by clicking on the picture below. In order to obtain the Adobe Acrobat PDF version of Parents’ Newsline, you must have the Adobe Acrobat Reader. If you do not have Acrobat Reader, you may download it by selecting the link below.